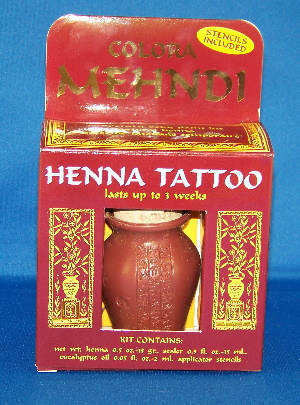 Mehndi Colora Henna Tattoo. Temporary body paint kit with all natural ingredients. Kit includes; Henna, Sealer, Eucalyptus oil and Stensils.